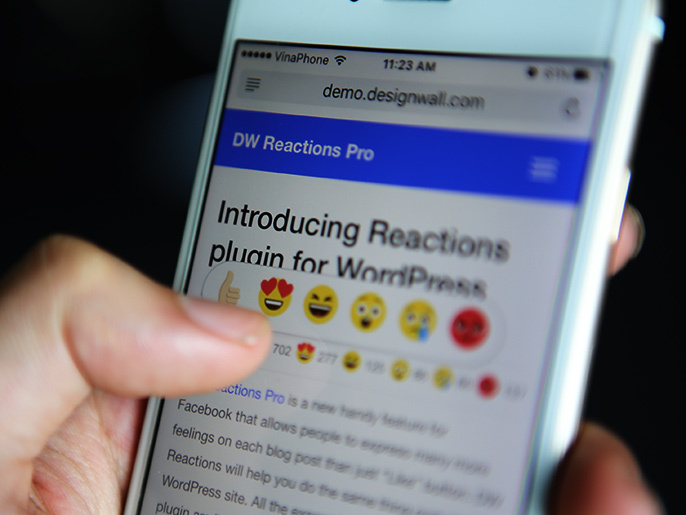 DW Reactions Pro is a WordPress plugin which helps you to have more reactions on each WordPress website/blog post than just a “Like” button. Follow our document we hope you can use reactions system inside your website without installing a new WordPress theme. This plugin should be compatible with your existing theme. If not, don’t forget to ask a support via our Question page. We’d love to hear a feedback and improve this plugin.